When the Wall came down 25 years ago, the effect was not only on Germans in East and West. The Velocipedists Club of Prague was founded almost exactly 25 + 110 years ago; or, more precisely, in 1880. 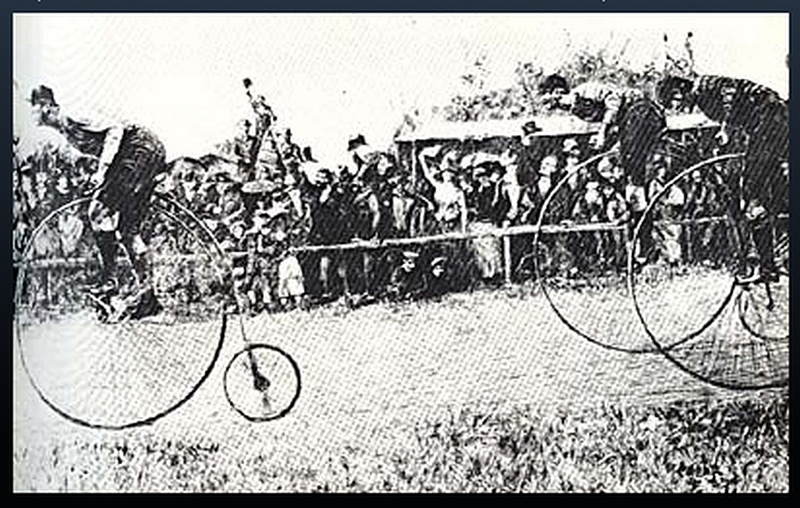 During those years, Prague was the only city in central Europe in which penny farthings were produced. And among the (wealthy) youth of Prague who enjoyed a completely new form of freedom, „Bacillus velocipedicus“ proved to be a really viral one. 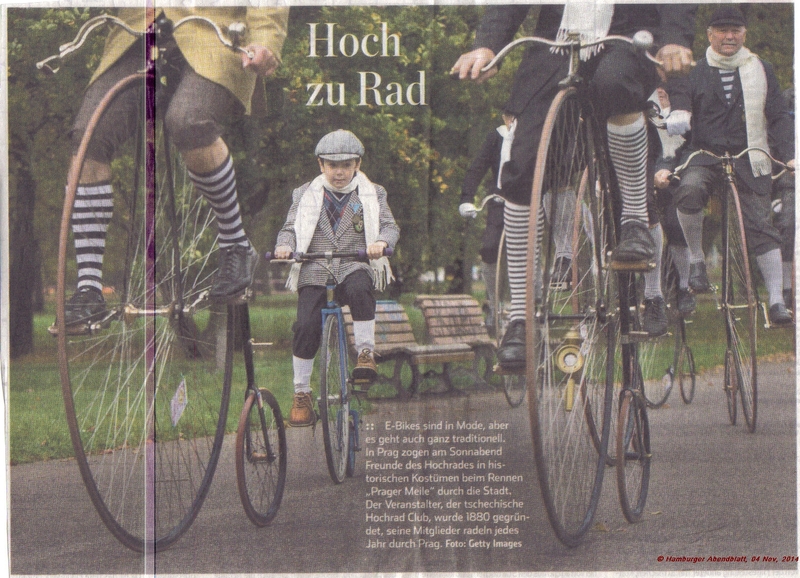 On Kohouts way back, the velocipedists of Meißen made sure Kohout rode a 400K-long distance from Meißen via Dresden and Leipzig – which Kohout blazed through in 24 hours … on his penny farthing, mind you; and on a bottle of tea he carried in his pocket: European record, for many decades unmatched. Maybe one of the reasons was the simple and rather profane fact that the high times of penny farthings was over pretty soon after Kohout’s record ride – a decade later, most people were riding what was called safety bicycles, i.e. the ancestors of our modern bikes. But some velocipedist stayed enthusiastic about penny farthings and remained true to their out-dated vehicles until the 1950’s. For reasons not immediately impressing as easy to grasp, the communist regime in Czechoslovakia put a rather abrupt end to the clubs of penny farthing riders and integrated them into the centrally controlled gymnastic clubs. The end of the Cold War was the beginning or resurrection of many activities and initiatives – not only in the Eastern part of Germany. 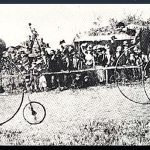 In Prague, penny farthing enthusiasts started to get active again; and 5 years later, in 1993, they organized the first annual „Mile of Prague“ penny farthing festival. The turn-out was some 350 riders of historic vehicles – and since then, the scene has grown and enjoys their geekish, but fascinating hobby horse as an ever growing group in Prague, each 1st Saturday of November.